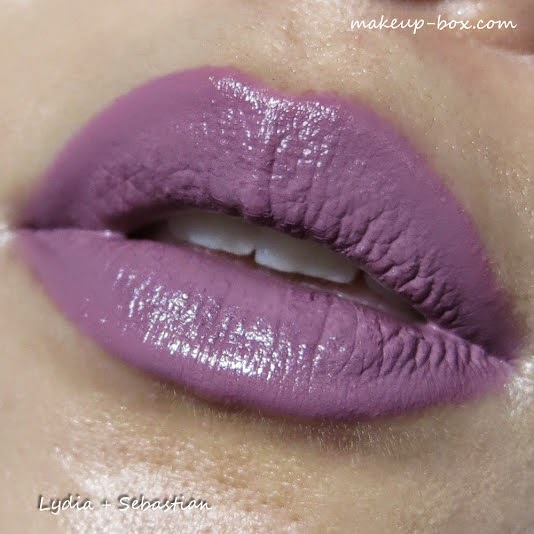 I have always been fascinated with lavender lips. And I don’t mean pastel, pinky-purples. I mean real lavender; muted purple with a strong touch of grey. But this sort of color is extremely hard to find, and it also has to go with your skin tone. Sometimes when you can’t quite get that perfect shade you’re thinking of, a little mixology is needed. I mixed a bit of OCC Lip Tar in Lydia into Sebastian. Wet n Wild Color Icon Trio in Silent Treatment on the lids (pale beige pink all over, taupe all over the lids, dark charcoal brown in the socket and outer corners. OCC Lip Tars in Sebastian (2 parts) with Lydia (1 part) - Sebastian is a soft chinchilla grey and Lydia is a muted plummy purple which helps add color to the grey so you don’t look like a corpse if you have medium to tan skin. If you have very pale skin, use less of Lydia. Or just buy Lime Crime’s Chinchilla, which is a perfect dusty lavender grey. If you have very dark skin, try using very little Sebastian if you want that dusty feel, or just wear Lydia neat as it has some muted dusty tones already, and that comes out more on dark skins. Make sure you wear a heavier coverage base than usual if you have redness or discolorations in your skin. A very muted lipstick tends to bring out those discolorations more. If you can’t get hold of a matching liner, just wear a clear liner so the color doesn’t bleed too much. P.S. if you’re outside the US, my favorite place to buy OCC products is beautybay.com (free international shipping with a minimum purchase amount). They usually have a good color selection compared to other sites (other than occmakeup.com itself), and free international shipping is a big deal! 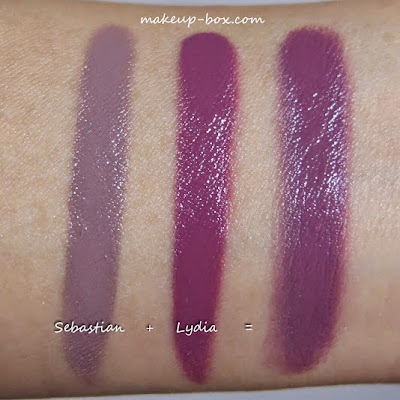 Only you can look beautiful in these colors (Sebastian is gorgeous!). I'd look like a muddy zombie.